I’ll give you the good, the bad and the ugly about this place. We stayed at Jellystone Niagara July 9, 2018 to July 13, 2018. 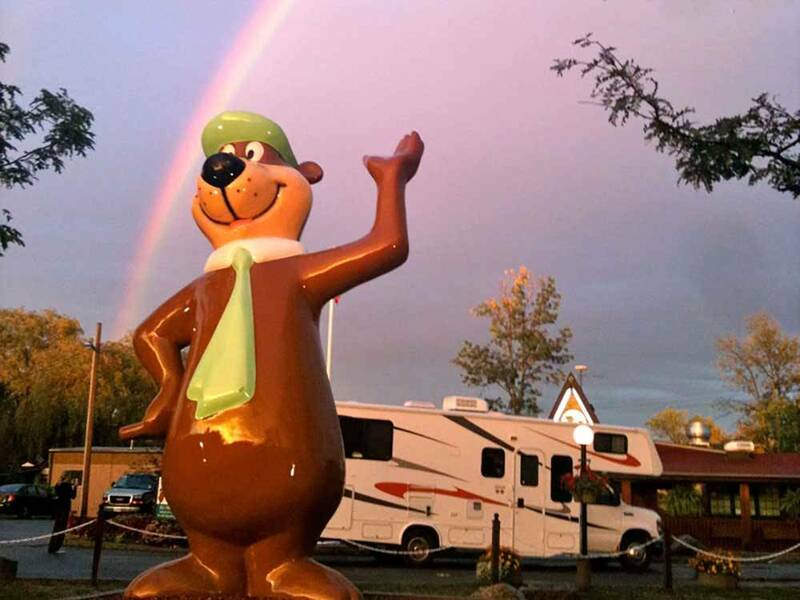 THE GOOD: -This campground is only about a 10 - 15 minute drive to Niagara Falls. -The staff was nice to us and helpful. -The bathrooms look completely renovated and I was really impressed with how clean they were. 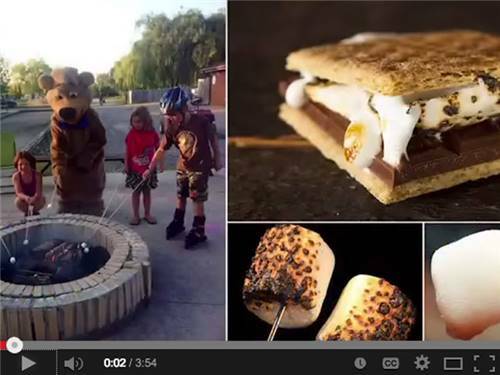 THE BAD: -This campground will nickel-and-dime you for every little thing. Staying at a Jellystone campground is always more expensive than other places because there are so many activities included in the rates. Niagara’s rates were comparable to other Jellystone campgrounds we have stayed at, yet they charge for every little activity on top of the higher rate of a Jellystone campground. Mini-golf is not included, the water slide is not included, etc. -There were many day campers here, and they always seemed to have priority with any activity. There were a couple times that a scheduled activity started earlier than posted and the day campers got to enjoy the activity and the people paying good money to camp here did not. -They advertise the pool is heated – I can tell you it is not. We stayed mid-summer and it was freezing cold. My 5 year old did not want to go swimming because the pool was so cold. -Didn’t have a grill at our site. -The sites are the smallest I’ve ever seen at a campground. You pull into your site and when you open your vehicle door to step out, you are nearly in your neighbor’s site. No exaggerating, it is that small. BTW we paid for a “premium site.” THE UGLY – Speaking of ugly, this place is an absolute dump. First of all, the campground is adjacent to Modern Mosaic – a company that specializes in pre cast concrete. It reminded me of a rock quarry. We had a lovely view of a massive crane behind our camper. Take a look at Google Earth to really see what it’s like. Dump trucks running all day, the constant beeps of the dump trucks reversing, construction guys screaming at each other all day, hammering and banging all day. Unbelievable. 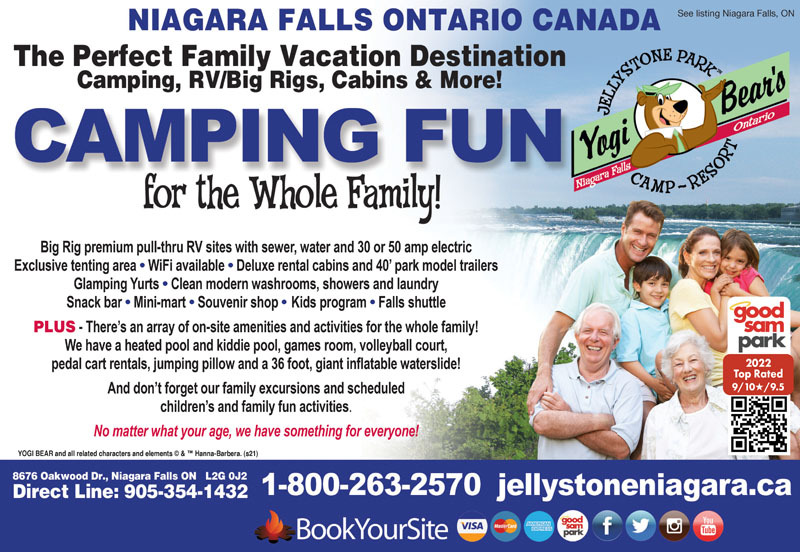 The reason why I am so upset with Jellystone Niagara is because I feel they are totally deceptive with the photographs they post on their website and brochure compared to what you will actually see when you camp here. -There are massive powerlines running through the middle of the park. I have to hand it to whoever took the photographs, they did an amazing job of hiding/disguising these huge eyesores. I took pictures of everything if anyone doesn’t believe me about my complaints. -This is minor, but there are rows of double wide trailers making it look like a dumpy trailer park. -They have this gigantic bird cage slide thing at the playground that looks like it was built in the 80’s and looks like the metal edges could easily cut someone. -On top of all this ugliness, Queen Elizabeth Way, which is a major highway, is literally about 50 yards from the front of the park. You will be listening to highway traffic all day. I could go on and on about how awful our experience was here. My guess is this place used to be a trailer park and was eventually retro-fitted to be a Jellystone Campground. If you are looking for peace and quiet and to be surrounded by nature then avoid this place at all costs! We arrived at the end of the camping season and there were few other campers. The sites were open grassy sites and were easy to pull thru. We were disappointed at their ground keeping service. They mowed the park while we were there and with no other campers on either side discharged the mowers toward our coach with grass sticking to the coach. My fear had been that a rock would hit the coach, fortunately this did not happen. We had put out a mat to wipe our feet and it was stolen. I would not recommend this campground or will we ever stay here again if there is another option available. Good location for visiting the falls attractions area. Scruffy site and not so good bathrooms (although clean). Close to Walmart and very close to major highway so don't expect peace and quiet. They have a shuttle to the falls which is convenient although I found out later that some of the other campgrounds have city bus stops which is cheaper (free if you buy the falls access pass which most do). Would probably try somewhere else if we return to Niagara but would not avoid to staying here again. Not a bad campground. Nice clean place. Management and workers around the facility were very nice. We were here off season, so we had our pick of hundreds of sites. They are known as a great park for families with children. Lots of activities related to that. Reason for 3 stars on appeal is due to the fact that the park is next to the Queen Elizabeth Way, a major four lane highway with big truck activity 24/7. Very noisy.